Find out about our Decanter World Wine Awards 2014 Sherry & Spain judging panel with biographies of the Regional Chairs Pedro Ballesteros Torres MW and Sarah Jane Evans MW plus Allan Cheesman, Ana Maria Martinez Terol, Annette Scarfe MW, Antony Moss MW, Aristide Spies MS, Arvid Rosengren, Barbara Philip MW, Ben Henshaw, Ben Llewelyn, Beverley Blanning MW, Beverly Tabbron MW, Bruno Murciano, Chris Murphy, Christine Parkinson, David Round MW, Dominique Vrigneau, Ed Adams MW, Ferran Centelles, Helen McEvoy, Jamie Hutchinson, Jean Marc Sauboua, Jo Ahearne MW, Juan Carlos Rincon, Luz Divina Merchán Díaz, Maria Antonia Fernandez-Daza, Matthieu Longuère, Melanie Jones MW, Nick Room, Peter Nixson, Pierre Mansour, Rhys Pender MW, Rut Cotroneo, Simon Woods, Stephen Skelton MW, Tom Forrest and Ulf Sjödin MW. Ballesteros Torres has studied around the world, including in the renowned wine regions of Jerez, Burgundy, Napa and Bordeaux. He holds a degree in agrofood engineering and a masters in viticulture and oenology. A columnist at Spain’s PlanetaVino and Vino y Gastronomía magazines, as well as Vino! in Belgium, Ballesteros Torres works in four languages and is active in promotion and education. He is also on the Council of the Institute of Masters of Wine, the governing board of the Spanish Taster Union, and the Wine Expert Committee of the Basque Culinary Centre. Evans is an award-winning journalist who began writing about wine in the 1980s. She started drinking Spanish wine when a student at Cambridge University, which began a love affair with the country’s wines, food and culture, leading to her appointment as a member of the Gran Orden de Caballeros de Vino for services to Spanish wine. In 2006, she became a Master of Wine, writing her dissertation on Sherry and winning the Robert Mondavi award for outstanding performance across all the theory papers. 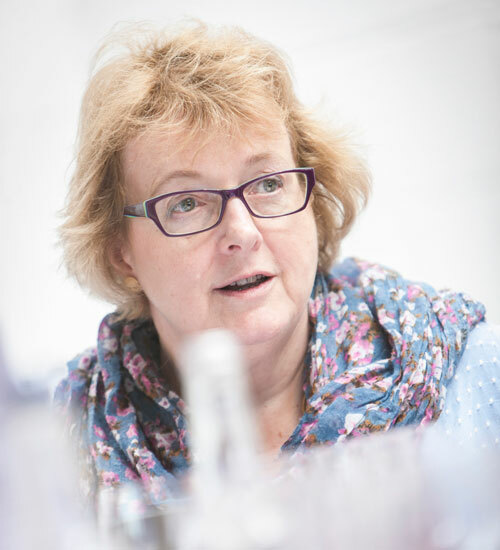 Currently vice-chairman of the Institute of Masters of Wine, Evans divides her time between writing for wine magazines and reference books, wine education and judging. Allan Cheesman has been in the UK wine trade for 42 years, spending 31 of them at Sainsbury’s, where he was trading director. As he was responsible for the supermarket’s own-label development in the 1970s and 1980s, Cheesman is attributed with demystifying and popularising wine in the UK. 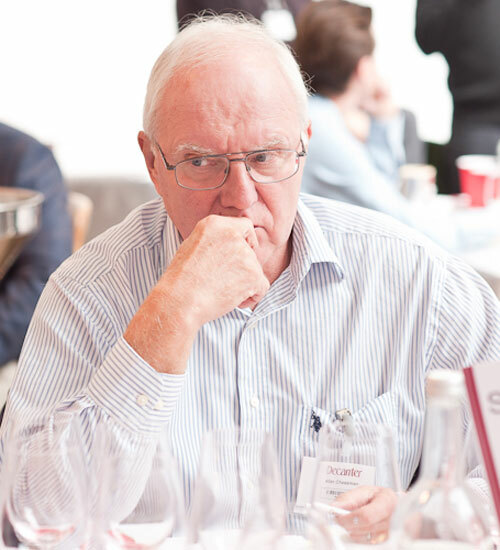 Now semi-retired, Cheesman consults for several global wine businesses, undertakes ad hoc work in the industry, and is the Chairman of the WSET Awards Supervisory Board. A member of the Gran Orden de Caballeros del Vino and an Officier dans l’Ordre du Mérite Agricole, Cheesman has lifetime achievement awards from Off Licence News and the IWSC and, in 2011, he was awarded the Order of Isabel the Catholic by the King of Spain, the country’s highest civil award, for services to Spanish wines. Originally from Jumilla in Spain, Ana Maria Martínez Terol only discovered the world of wine after getting a job as a tour guide at a local winery. She moved to the UK in 2007 to improve her English, but has ended up settling here through the enjoyment of her work in various sommelier positions for a number of different restaurants. Martínez Terol is currently the assistant head sommelier at Hotel Terravina where she has worked or works with amazing guests and a fantastic restaurant team including Laura Rhys MS and Tanguy Martin, the 2014 Best Young Sommelier of the UK. 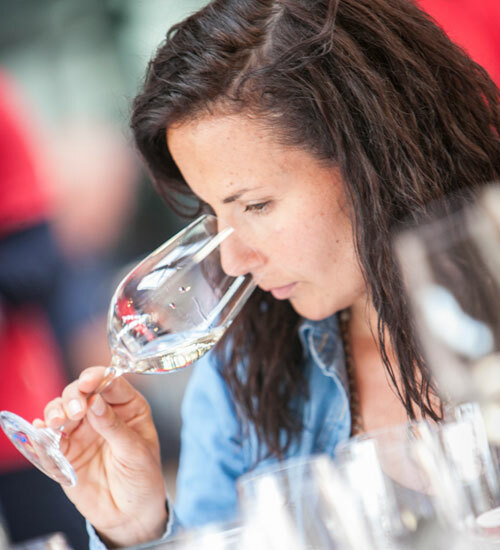 Martínez Terol completed her WSET Diploma in 2013. Annette Scarfe MW consults for restaurants in London and Asia, including Spanish restaurants Pizzaro and Jose. She is an international judge at competitions in London, China, New Zealand, Australia and France. She runs regular training sessions for the on-trade at several restaurants in London. Scarfe is a regular member of magazine tasting panels. 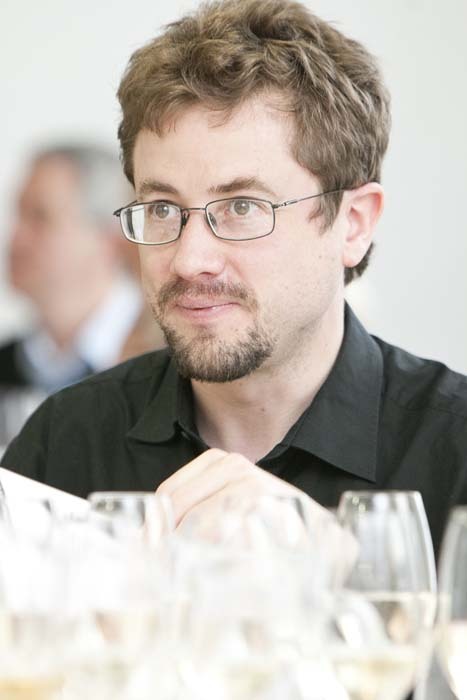 Antony Moss MW is director of strategic planning for the Wine and Spirit Education Trust (WSET). His current role covers long-term business planning and new product development, and he was previously responsible for the WSET’s textbooks and other education materials. Moss has worked for the company since 2004 and was the author of Wines & Spirits: Looking Behind the Label. Moss joined the wine industry in 1998 as a part-time sales advisor for S.H. 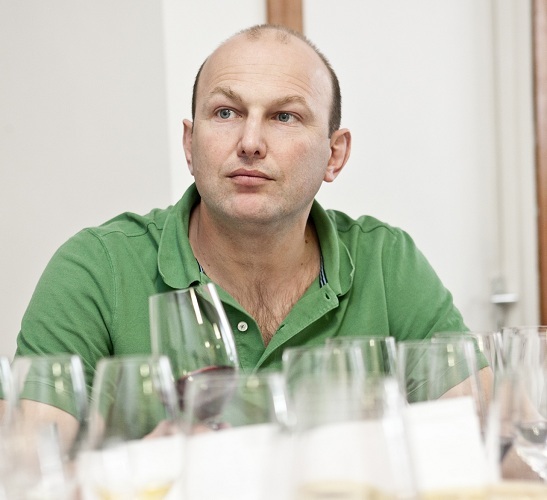 Jones in Leamington Spa, and completed his WSET diploma in 2003 while working for Sainsbury’s supermarkets. 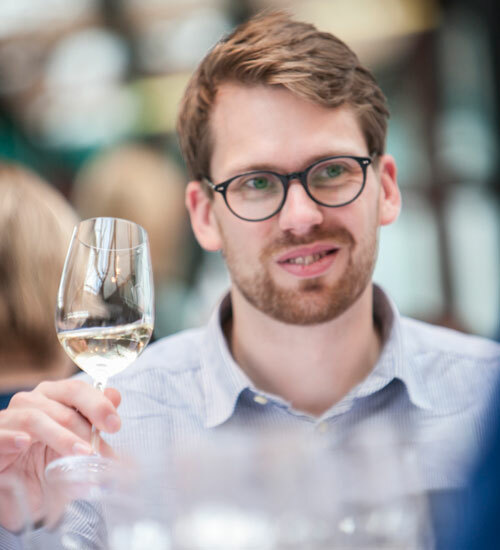 He won the Austrian wine marketing board’s prize for both his WSET diploma and MW, and he is now a member of the education committee for the Institute of Masters of Wine (IMW), supervising one of their two European second year residential programs. Aristide Spies MS discovered his passion for the wine trade during a family holiday in the Périgord and immediately enrolled in a series of wine tasting and cookery courses on returning home to Belgium. Following secondary studies, he spent year as an exchange student in Australia, before beginning his wine career at the one Michelin star restaurant Les Forges du Pont d’Oye, as assistant to Pascal Carré, named Best Sommelier of Belgium 1992, 1996 and 1997. In 2007, Spies won this same title for himself, also winning the Club Gastronomique Prosper Montagné’s Premier Sommelier de Belgique. Spies then went on to represent Belgium at the Best Sommelier of Europe competition in Sofia in 2008 where he reached the semi-finals, and at the World’s Best Sommelier 2013 competition in Tokyo, where he was a finalist. Spies has written and broadcast about wine, and is a member of both the International Federation of Wine and Spirits Journalists and Writers (FIJEV) and the Jurade de Saint-Emilion. He currently runs La Cave des Sommeliers, a chain of wine shops in Belgium and Luxembourg, with his former mentor Pascal Carré. Arvid Rosengren is the wine director of restaurant group Copenhangen Concepts, which owns and runs eight restaurants along three concept lines: MASH (steakhouse), Umami (Japanese/French fusion) and Le Sommelier (French brasserie). Joining the company in June 2011, Rosengren was previously the head sommelier at two of the group’s restaurants in Copenhagen, and prior to that worked in Stockholm at Restaurant Le Rouge, and spent a few months in the UK at the Hotel du Vin in Birmingham in 2008. 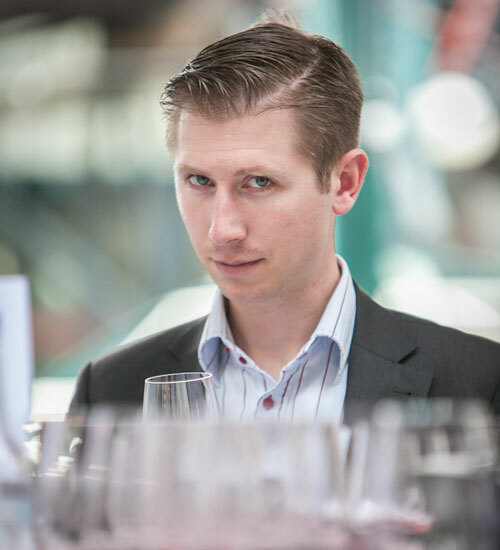 Winning many awards on the sommelier competition circuit, Rosengren was named Best Sommelier of Sweden 2010 and last year became the Best Sommelier of Europe 2013, going on to compete in the Best Sommelier of the World semi-finals in Tokyo. Rosengren also teaches at sommelier schools in Scandinavia and writes for publications, including Livets Goda, and publishes his own blog at arvidrosengren.com. Barbara Philip MW is a portfolio manager at the British Columbia Liquor Distribution Branch (BCLDB) in Canada and is responsible for selecting European wines for the BC Liquor Store chain. Her career has included working as a sommelier and wine educator for many years, and she passed the MW in 2007. 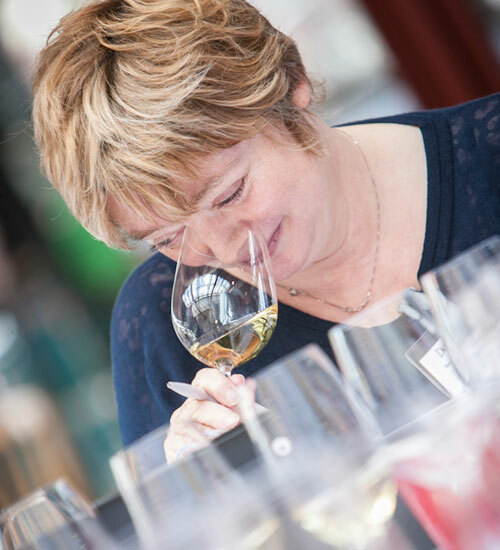 In addition to her role at the BCLDB, Philip also works as a freelance lecturer, radio columnist and wine judge through Barbariain Wine Consulting, a company she runs with her husband Iain. 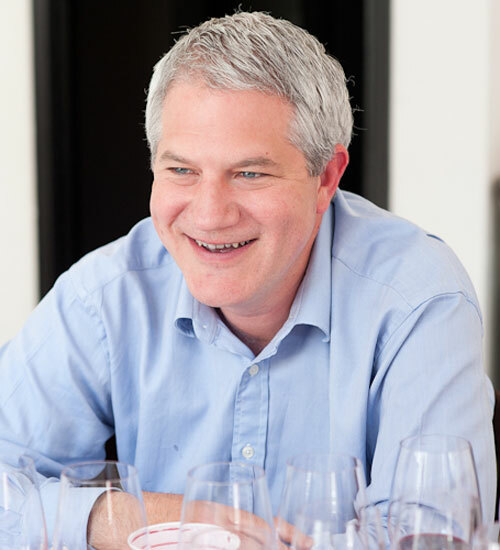 Ben Henshaw joined the wine trade in 2002 to work on the sales and marketing of Domaine Saint Hilaire, his family’s newly-acquired Languedoc vineyard. He set up Indigo Wine the following year, focusing initially on importing artisanal wines from southern France, and in the years since he has built up a diverse portfolio of Spanish wines. 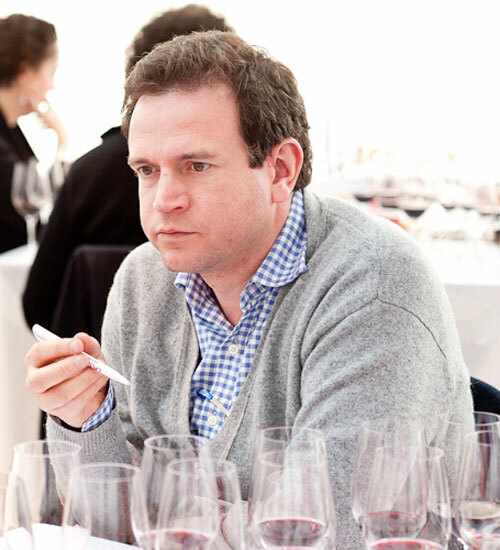 Ben Llewelyn has worked in the wine trade since 1997, beginning at Oddbins, and then at Italian specialist Enotria. He moved his family to France in 2007 to experience the life of a winemaker while studying for his MW, and in 2008 he set up the wholesale wine agency and importer Carte Blanche Wines, which leans toward those producers who choose to make wine as naturally as possible and works with independent wine merchants and restaurants across the UK. Carte Blanche Wines purchased independent wine retailer Caviste in 2011. 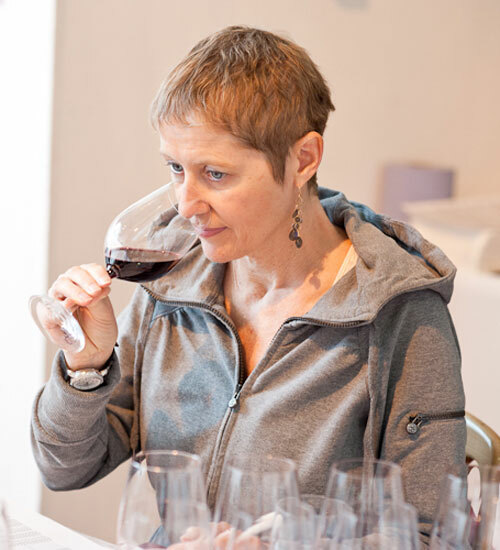 Beverley Blanning MW is a London-based independent wine journalist and the author of Wine Tasting and Biodynamics in Wine. 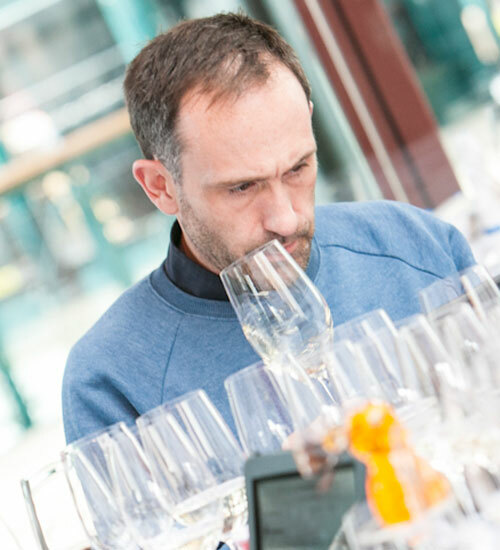 A feature writer and taster for Decanter, and a contributor to other publications around the world, Blanning has judged at numerous wine competitions internationally. 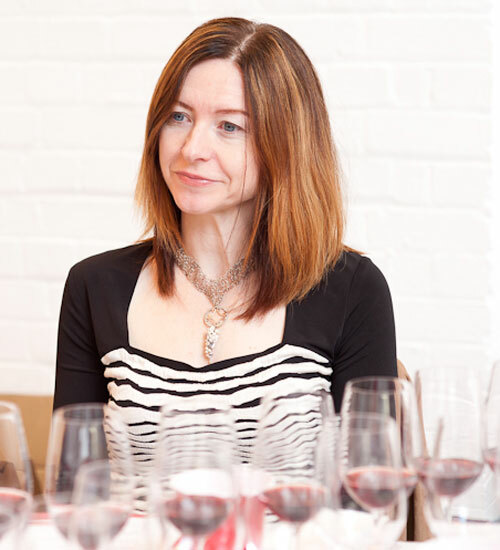 She is also a presenter and educator for corporate, consumer and trade events, including the Christie’s Wine Course. 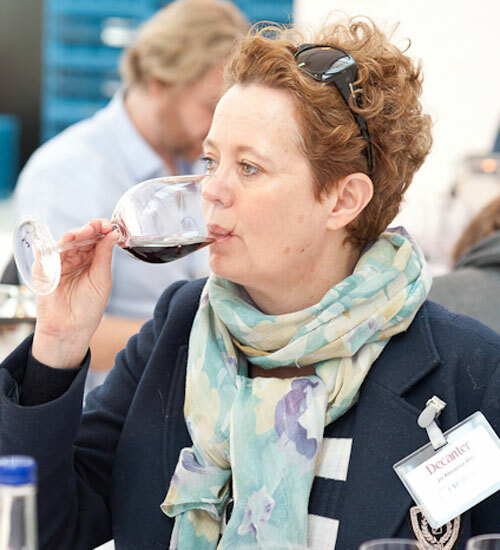 Beverly Tabbron MW graduated from Kings College London in 1979 with a BA joint honours degree in German and Latin. 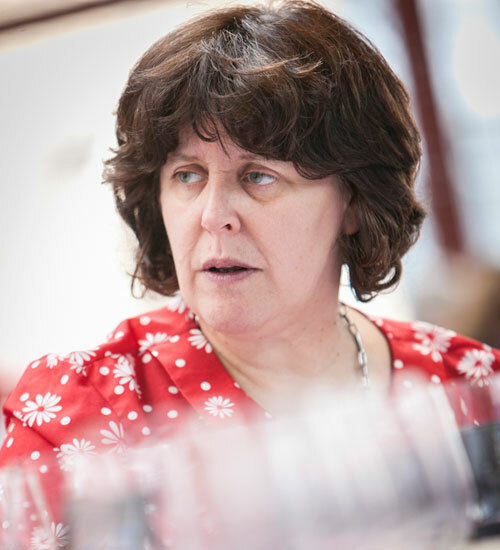 Since passing her MW in 1996, Tabbron has been responsible for purchasing at Hallgarten Druitt, where she looks after its extensive portfolio, a role which involves a great deal of travel around the world visiting producers, and finding that there is always something new to discover in the world of wine. Bruno Murciano is the co-founder of De Vinos TASTESPAÑA. He was raised within a small family catering business and studied catering management in Castellon, Spain, following this up with a sommelier degree from Toulouse, France. In 2002 Murciano moved to the UK where he worked as a sommelier for Raymond Blanc at Le Manoir aux Quat’Saisons in Oxford, before moving to London to join Richard Corrigan at Lindsay House as head sommelier and then the Ritz London as chef sommelier. He was named Best Sommelier of Spain in 2008. Murciano then spent five years with Bibendum Wines Ltd as Prestige Accounts Manager. Murciano owns a biodynamic vineyard in his native Utiel-Requena, where he makes a range of artisanal wines from Bobal with David Sampedro Gil. In 2012, Murciano and Sampedro Gil teamed up with Valencia based Valsan 1831 to make a range of white wines from Moscatel. Chris Murphy has worked at Marks & Spencer for over forty years, and has spent the last three decades sourcing wines from around the world. For the past six years he has concentrated on the M&S wine club, Wine Online, and has judged at wine competitions both at home and abroad. Murphy has tried to adhere to the advice given him by Christopher Tatham when he was first starting out: “the first duty of a wine is to be delicious”. Christine Parkinson started her career in the kitchen, spending three years as a head chef. She then moved into management, eventually gaining responsibility for 39 restaurants, at which point she decided to follow her passion and concentrate on wine. In 2001, Parkinson created the first wine list for Hakkasan, and then became wine buyer for the group’s restaurants including Sake No Hana and Michelin-starred Hakkasan, Yauatcha and HKK, with sites worldwide. 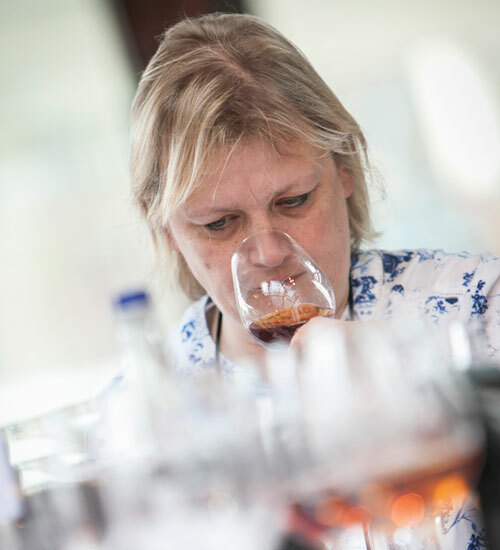 She is a regular judge at competitions including New Wave Spanish Wines, Decanter World Wine Awards and the IWC Sake Awards. 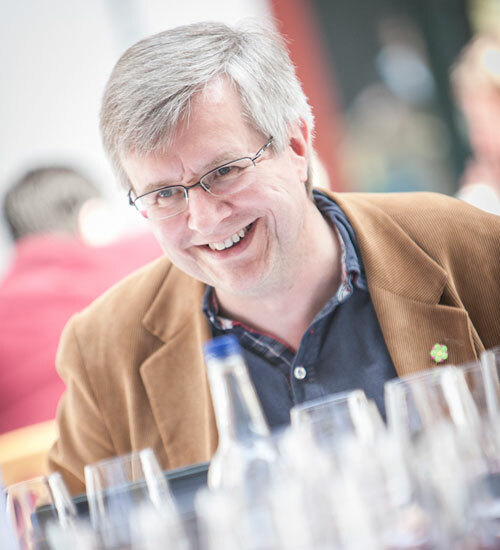 Parkinson has been called “one of the most creative wine buyers in the UK” by Jancis Robinson MW, and has won awards including Wine List of the Year 2011, Taste On-Trade Influencer 2009 and Imbibe Restaurant Personality of the Year 2011. 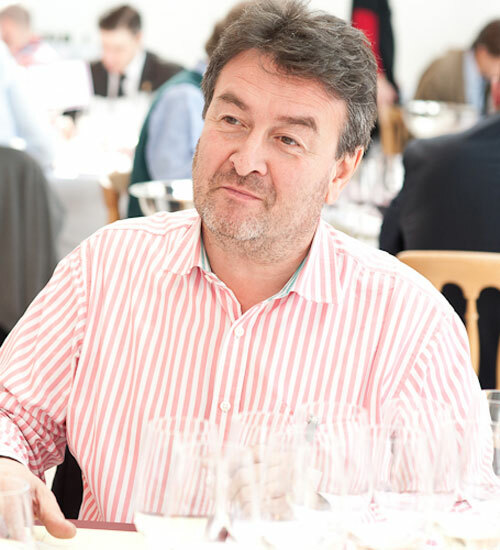 David Round MW joined the wine trade in 1991, working on the shop floor in Fortnum & Mason’s Wine Department. In 1994 he moved to Berry Bros & Rudd to help set up their Duty Free Wine Shop at Heathrow’s Terminal 3, and soon transferred to the Buying Department. Round passed his MW in 1999 and became fine wine manager at Direct Wines the following year. In 2003 Round moved to Bancroft Wines (formerly H&H Bancroft) where he was joint buying and marketing director. In 2009 Round joined Jascots Wine Merchants as director of purchasing, PR and marketing, leaving in late 2013 to help run a family business and set up his own wine consultancy. Dominique Vrigneau joined Majestic on a work experience placement in 1986 after completing a five-year PhD in agriculture and oenology in France. He was soon promoted to the position of buying manager, and in 1991 he joined Thierry’s Wine Services after a chance encounter with founder Thierry Cabanne. He became the company’s buying director for France, Austria, Germany, Australasia and the US, and in November 2012 Vrigneau moved to a new venture, Watermill Wines, and now combines his buying capabilities with selling to key accounts. Vrigneau is also a Chevalier du Tastevin and has judged in key international competitions for many years. Ed Adams MW joined the wine trade in 1983, working at old Bristol wine firm Howells’ shop in Bristol city centre. He then worked at Wines from Spain (1985-86) before joining the Co-op as a buyer in 1987, ending up as bulk wines and spirits buyer at what later became Kingsland wines & spirits. He became an MW in 1991 and joined Western Wines in 1994 as purchasing and quality control director. After the Vincor/ Constellation buyout he left in February 2006 to work with Bruce Jack of Flagstone and Constellation in South Africa. He continues to work with Jack on their Spanish wine project, La Báscula, which now comprises six wines from various denominations throughout Spain and is being sold in 11 countries. Ferran was a sommelier at elBulli restaurant between 2000 and 2011. When elBulli transformed itself to become elBullifoundation, Centelles worked as wine director and was also part of the team of Outlook Wine (The Barcelona Wine School) and www.wineissocial.com. 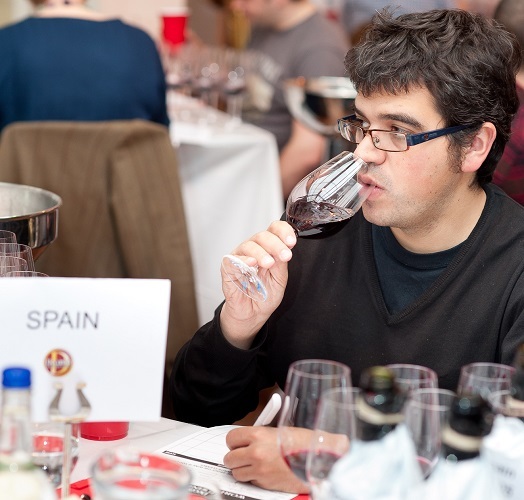 He currently works as the Spanish wine specialist for www.jancisrobinson.com. Centelles was named Best Sommelier in Spain in 2006 (Ruinart) and was awarded the National Gastronomy Award in 2011. After studying French and business at university, Helen McEvoy joined Sainsbury’s graduate training scheme as a trainee buyer in the wine department and was instantly hooked on wine. After spending eight years buying wine for various UK retailers, McEvoy took a sabbatical break to work the 2012 vintage in New Zealand. Upon her return to the UK, she re-joined Direct Wines to manage the wine buying team, after which she moved to the retail side of the business. McEvoy is currently the retail and events director at Laithwaite’s, with overall responsibility for every aspect of direct customer contact which includes the operation of the company’s stores and concessions, and the over 200 consumer wine tasting events hosted annually. 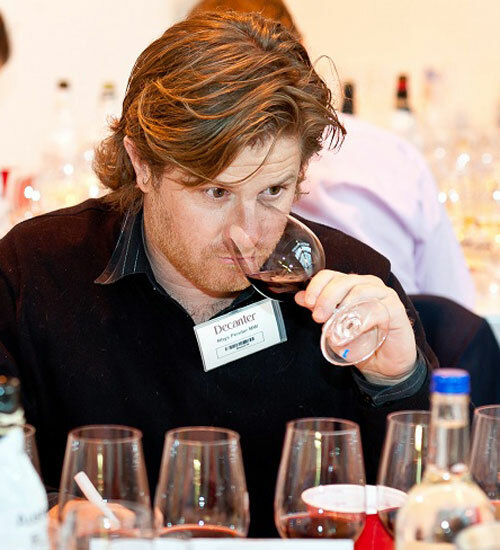 Jamie Hutchinson is the managing director and co-founder of independent wine merchant The Sampler. After a career in venture capital, Hutchinson opened The Sampler in Islington in 2006, followed by a South Kensington branch in 2011, and plans to open other shops in the future. Hutchinson’s passions are Sherry, traditional Rioja, grower Champagne and Beaujolais, while his weaknesses are for wines with personality and that go against normal commercial conventions. 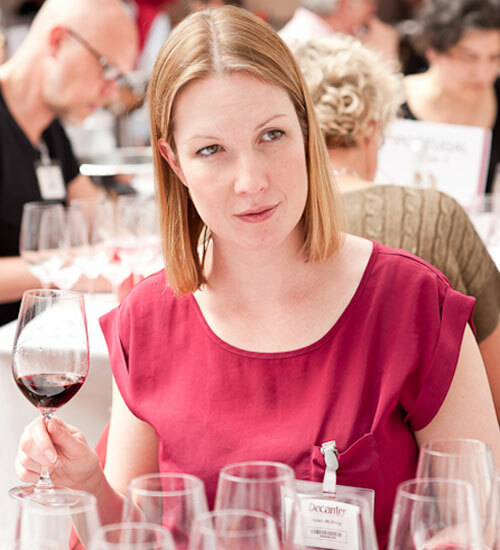 Hutchinson is also the holder of the WSET Rafael Balao Lustau Memorial Trophy and won the WSET Cava and Penedes Wine Institute Bursary. Jean Marc Sauboua is head of winemaking and Bordeaux buyer for Laithwaites Wine. 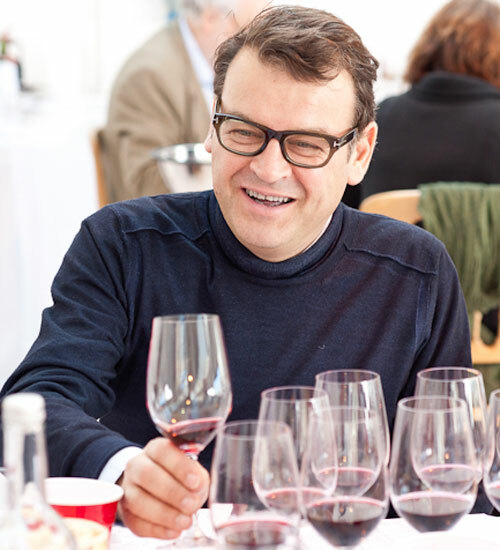 He joined Laithwaites in 1993 after training at Château Haut-Brion and has been making premium wines around the globe for over twenty years in France, Australia, Chile, Italy, Moldova, Spain and South Africa. 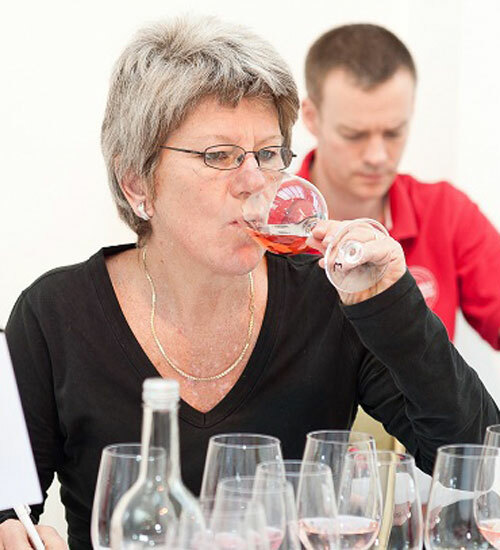 Jo Ahearne MW first worked in the wine trade in the early 1990s at Oddbins, and after two years she went to Australia to work a vintage for Charles Melton, with his Nine Popes and Rose of Virginia wines. While in the Barossa Valley, she decided to sell her house and belongings and enrol in a winemaking degree at Charles Sturt University in Australia, whilst also working at Pipers Brook, Bailey’s of Glenrowan, Leasingham and Tintara wineries. Following this, Ahearne worked as a flying winemaker in Spain and France, was assistant winemaker at Charles Melton, spent four years making Jacob’s Creek, and spent time in Fitou in the Languedoc. In 2004, Ahearne moved back to the UK to blend wines for Marks & Spencer, before a stint as wine and spirits buyer for Harrods. 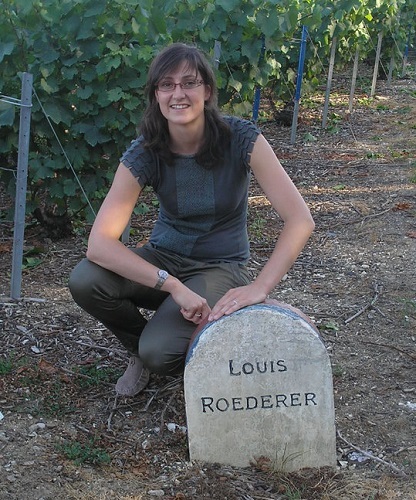 She now works as a winemaking consultant in France, Spain, Italy, Hungary and Macedonia. Juan Carlos Rincón is a London-based professional wine taster, broadcast journalist, presenter and blogger (www.blog.rincondecata.com), and was the wine expert for the Spanish Americas department of the BBC World Service for eight years. He also consults on wine for Latin-American markets and is the ambassador for Latin America of La Cave de Tain l’Hermitage. Rincón is a Commandeur of the Commanderie de Bontemps du Vins de Médoc, Graves, Sauternes and Barsac, a Vigneron d’Honneur of La Jurade de Saint Emilion, and a member of Les Hospitaliers de Pomerol and is active in Bordeaux, having developed the Spanish website for the Conseil des Grands Crus Classés en 1855, and as a translator for French wineries and wine organisations. Rincón’s most recent articles can be found in PlanetAVino, a leading Spanish wine magazine. He is currently developing his own website www.rincondecata.com. Luz Divina Merchán Díaz is the co-founder and director of www.quelujo.es, an online referral website about gastronomy and wine, and the co-founder of OCALAB (www.ocalab.es), a company dedicated to online marketing and strategy for the wine and food industries. 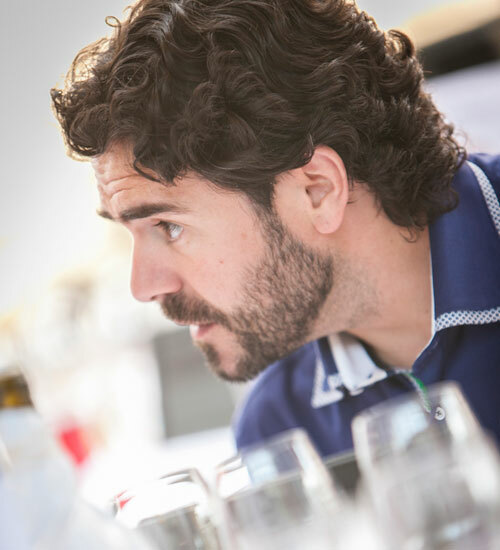 Merchán Díaz graduated with degrees in agronomy and enology, following this up with a professional sommelier diploma from Madrid’s Chamber of Commerce in 2007. 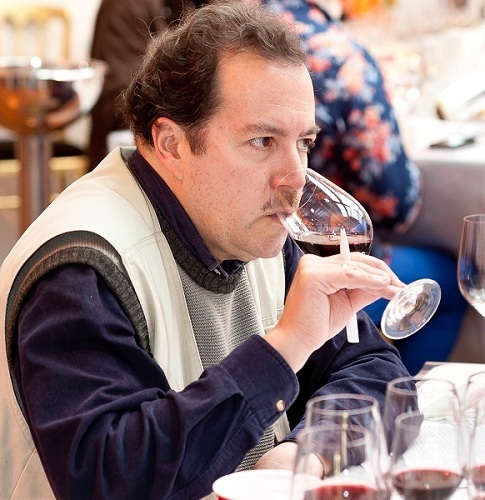 Merchán Díaz has been a sherry educator since 2009 and is a regular judge in international wine competitions. She is also a member of the World Federation of Travel Journalists and International Federation of Wine and Spirits Journalists and Writers and contributes articles showcasing Spain through its food and wines. Maria Antonia Fernandez-Daza is a Madrid-based consultant specialising in developing strategies for the internationalisation of Spanish wine companies. 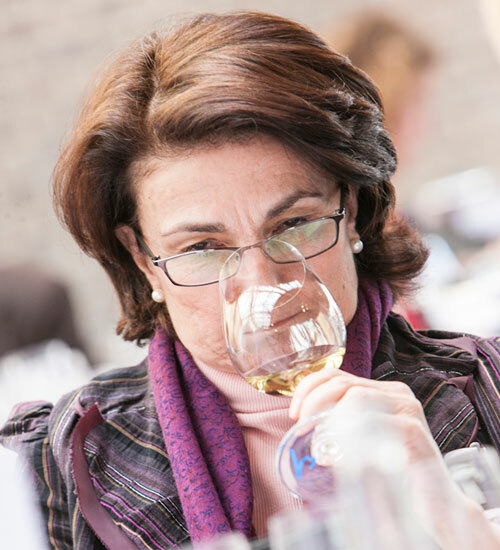 Since starting in the industry 25 years ago, Fernandez-Daza has witnessed significant changes in the Spanish wine trade in her numerous roles as winemaker, wine buyer, export manager as well as with her work for Icex and the Consejo Regulador of Rioja. Fernandez-Daza is also a wine lecturer, a regular panel taster for Planeta Vino magazine, and co-ordinates wine tours throughout Spain, a favourite part of her business. Fernandez-Daza holds a MSc in Viticulture & Oenology and the Diplôme Universitaire d’Aptitude à la Dégustation des vins (DUAD) from Bordeaux. Matthieu Longuère MS is originally from Bordeaux and studied catering at college for six years before coming to England in 1994. Since then he has worked as head sommelier at Lucknam Park near Bath, Hotel du Vin in Bristol and La Trompette in Chiswick, and he is currently Le Cordon Bleu’s wine development manager at their school in London. In 2000, Longuère won the UK Sommelier of the Year Competition Trophée Ruinart, and he represented the UK as a semi-finalist in the Best Sommelier of Europe competition in 2010. Longuère became a Master Sommelier in 2005 and speaks French, Spanish, English and basic Swedish. Mel Jones MW is a wine writer running quaffersoffers.co.uk, a website giving details of special offers at wine retailers, as well as providing tasting notes and forum discussions on great wine buys. She is also half of the Birds with Bottle duo on YouTube, a fortnightly fun wine programme, and has a weekly wine slot on BBC Radio Gloucestershire. 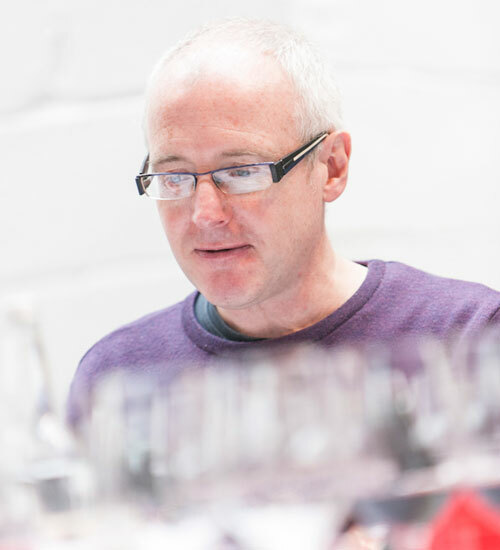 Jones joined the wine trade shortly after leaving school, and has been running wine courses and writing about wine since the mid-1990s. In her spare time, Jones is a performance poet. Nick Room joined Waitrose in 1987, initially buying beers and spirits before moving into wine. Passing the WSET diploma in 1992, Room worked in wine mail order for five years before returning to the main Waitrose wine buying office in 1998. Room specialises in South America, Spain, Portugal, sweet and fortified, and also buys all of Waitrose’s rosé wines. In 2005, 2006, 2010 and 2013, Waitrose won awards for its Iberian List, while its fortified wines are widely recognised as market-leading. Invested in 2006 for services to the Spanish wine industry, Room is currently serving as chairman of the Gran Orden de Caballeros del Vino, and over the years he has spearheaded a number of initiatives designed to enhance the standing and reputation of the organisation. Peter Nixson joined British Airways as an airline steward in 1973 – having never drunk a glass of wine in his life. Through his job he visited places including California, South Africa and Australia at the time when their wine industries were starting to become established. 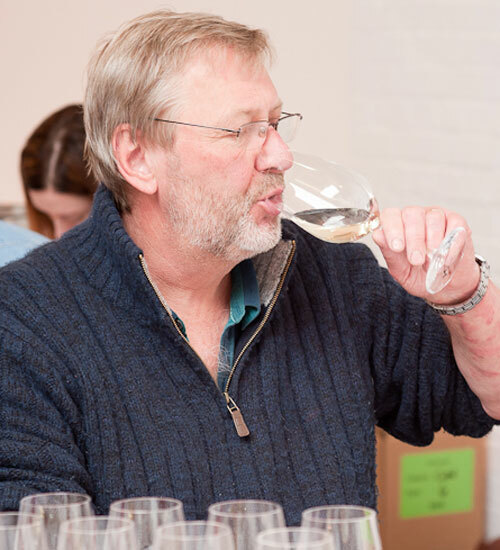 His interest in wine grew and, in 1982, he began to take courses at the WSET and earned his diploma with honours in 1986. 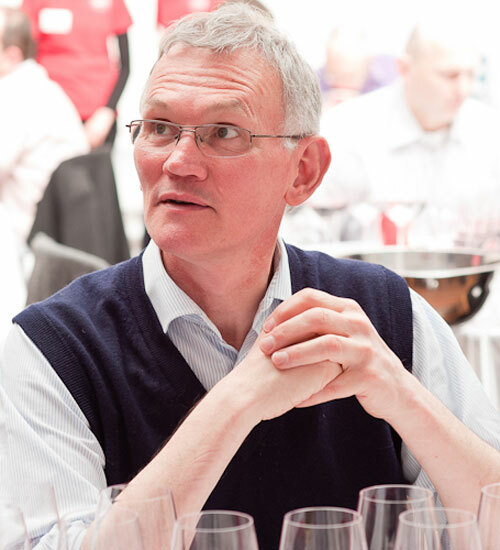 The following year, he joined BA’s newly created wine department taking over its management in 1989. For the next 20 years he was responsible for the selection of all BA’s wines – over 450,000 cases a year – including the Concorde cellar. Nixson left BA in 2009, worked for Vinum, a specialist importer of Italian wines and currently owns wine consultancy firm Airline Wine Consultancy. Pierre Mansour spent four years with Berry Bros & Rudd as duty manager of its Heathrow store after an introduction to the wine trade in 1995 with the Antique Wine Company. 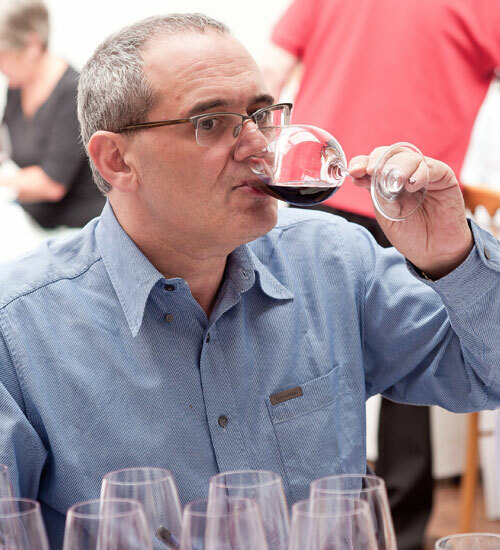 He completed the WSET diploma in 1998 before joining Vinopolis as tastings manager, and in 2000 Mansour joined The Wine Society to oversee tastings and events, before taking on the role of buyer in 2004. He currently buys The Society’s Australian, New Zealand, Spanish, North American and Lebanese wines. A passionate educator, wine lover, judge, writer, and grape grower/farmer, Rhys has worked in the wine industry since he was a teenager. Rhys pursued his food and wine passion by completing a Professional Culinary Diploma to ensure he eats well and all levels of the WSET programmes to make sure there was always good wine at the table. In 2004 Rhys began taking on the gruelling Master of Wine program, which culminated in Rhys becoming Canada’s youngest Master of Wine in 2010. Rhys runs a WSET wine school and consultancy through his business Wine Plus+ and, between travelling around the world, can be found with his boots in the dirt at his small four acre vineyard and winery in the Similkameen Valley – Little Farm Winery. He is a regular contributor to Canadian publications such as WineAlign.com, Macleans, Montecristo, Taste and Wine Trend. 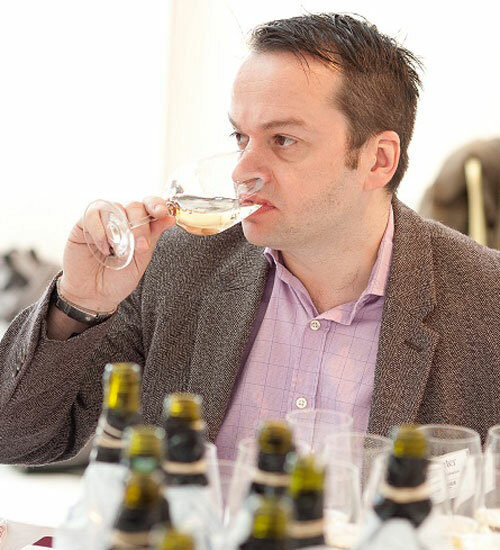 Rhys judges wine competitions internationally such as the Decanter World Wine Awards and the Dallas Morning News Wine Competition as well as for WineAlign and the Vancouver Magazine Wine Awards in Canada. Rut Cotroneo achieved her sommelier qualification in Madrid in 1999 and immediately started working in various sommelier-related and managerial capacities for the “Who’s Who” of the restaurant world, including Madrid’s one Michelin-starred El Chaflan, the three Michelin-starred El Bulli, and El Bulli Hotel, the two Michelin-starred Mugaritz, Heston Blumenthal’s three Michelin-starred The Fat Duck, and the five star and one Michelin-starred Restaurant-Hôtel Ferrero in Valencia. From 2011 to 2013, Cotroneo held the position of chef sommelier at the one Michelin-starred Restaurant Pur in the Park Hyatt Paris Vendome, and has been the recipient of many awards. She currently consults for the two Michelin-starred Mauro Colagreco and his Menton-based Mirazur restaurant on a world-wide project. Simon Woods abandoned a career in computer systems design in 1988 to join the wine trade, thus indulging his two hobbies of wine and writing. In his twenty-five years of communicating about wine, Woods has been a columnist for The Financial Times’ The Business magazine, and five-times editor of the annual Which? Wine Guide. He was voted International Online Wine Columnist of the Year at the Louis Roederer International Wine Writers’ Awards 2010 for his work on simonwoods.com, a site offering a combination of tasting notes, rants and videos, and his books include the award-winning I Don’t Know Much About Wine But I Know What I Like. Skelton started his career in wine in 1975. 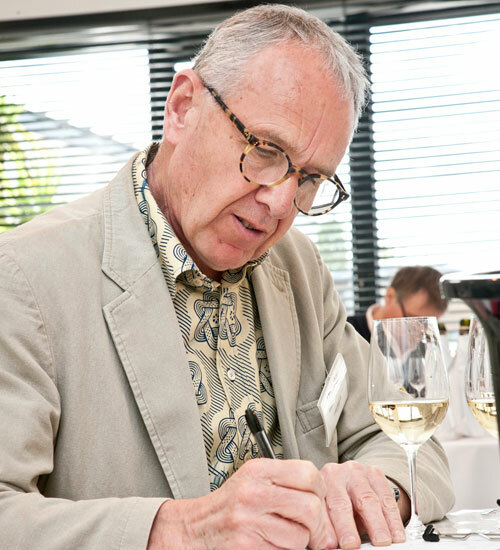 After 12 months at Schloss Schönborn in Germany’s Rheingau and two terms at Geisenheim Wine School, he returned to the UK in 1977 to establish Tenterden Vineyards in Kent, where he made wine for 23 vintages. He was winemaker at Lamberhurst Vineyards from 1988–1991. Skelton is a consultant to the English wine industry and is involved with planting vineyards for the production of sparkling wine. He became a Master of Wine in 2003. Edinburgh-born Tom Forrest first fell in love with wine, and especially Pinot Noir, at the age of 18 when he was given a bottle of Nuits-St-Georges by a hotel manager. 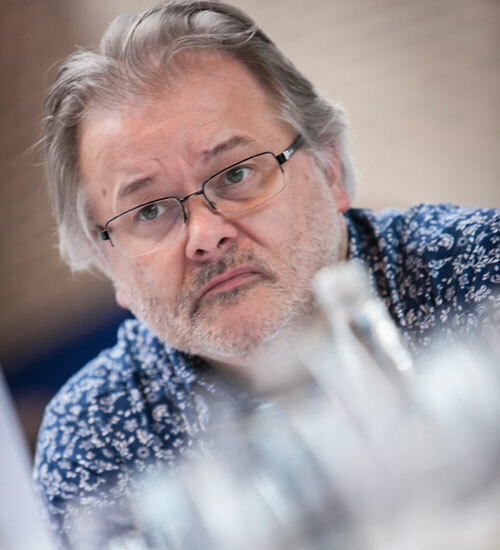 Following a career in hotel management, he began teaching wine & spirits to hospitality students in 1982, and is currently the executive manager for wine experience and education at Vinopolis, where he has been working since 1999. 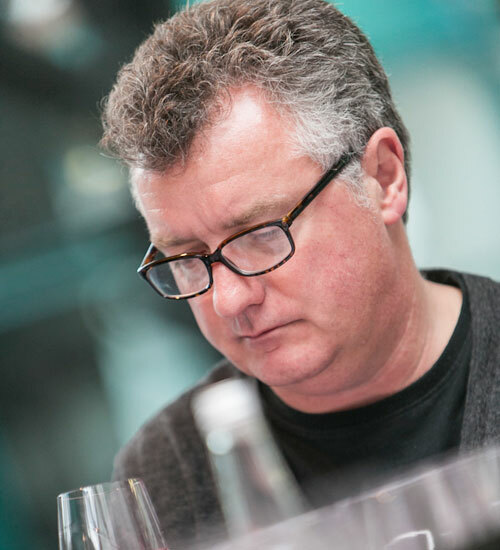 A member of the Institute of Wines and Spirits and an accredited WSET wine educator, Forrest oversees the WSET education programme and the calendar of master classes at Vinopolis, which includes the ‘Meet the Experts’ series where Oz Clarke regularly features. 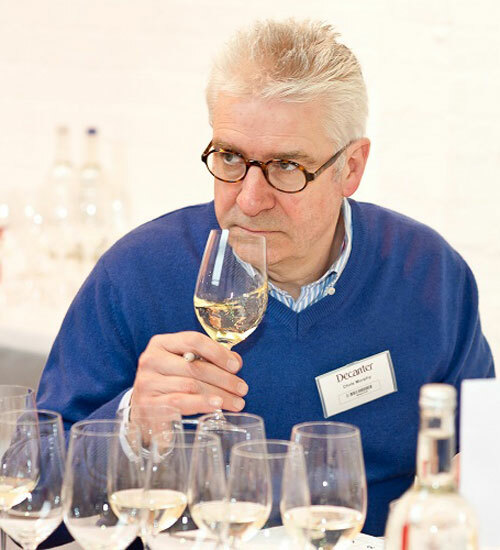 He has judged at various international wine competitions since 1997, is the author of The Complete Wine Course, and in 2007 he won the UK Champagne Ambassador competition and was a European finalist. Forrest has appeared on TV shows including This Morning, the Daily Politics Show and Come Date With Me, as well as on various local radio stations in London and the South East. 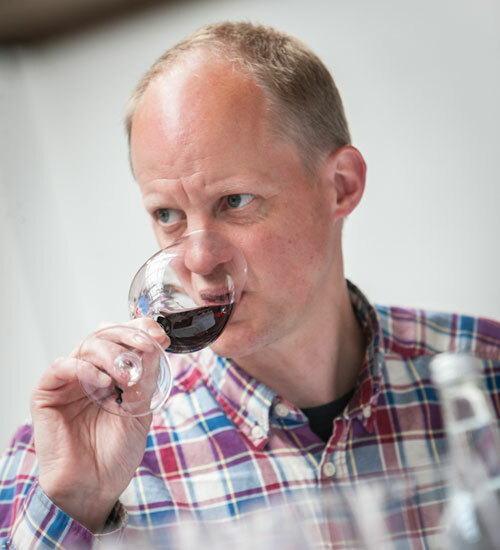 Ulf Sjödin MW originally worked in chemical engineering, holding a masters in the subject, but switched to marketing when he joined the wine trade in 1996. He worked for importer and producer V&S, where he held the position as PR manager for 13 years, and after a period as a self-employed consultant on pricing and market analysis, Ulf joined the Swedish retail monopoly Systembolaget in 2010 to become head of category management, a position he holds today. In 2007, Ulf became the first Master of Wine in Sweden, receiving awards for best tasting paper, best paper on viticulture and best total result on the MW exam.